Big tote bags were my life saver during college. I find them very useful whenever I carry lots of things to school, or even when we have planned overnights in one of my classmate's house.And until now, I still find myself getting one of these whenever I see one in stores, specially those budget-friendly ones with cute designs like the ones below! I took these photos from SM Department Store Megamall last Tuesday. 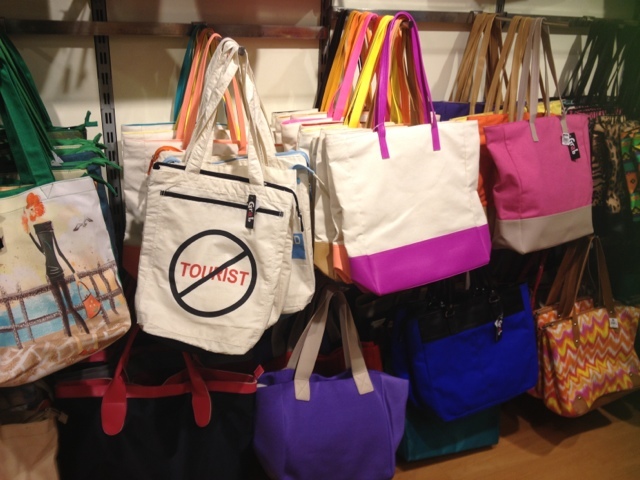 They have this section for Grab, a brand that sells bags, pouches, and bag accessories that are really budget-friendly. The price range of their bags is from P199.75- P500.00. I was looking for a bag to use during The script concert since I left my big bags at home (I only stay at our house during weekends). And luckily I find this brand in Megamall. It was hard to choose among the chic patterns and yummy colors. 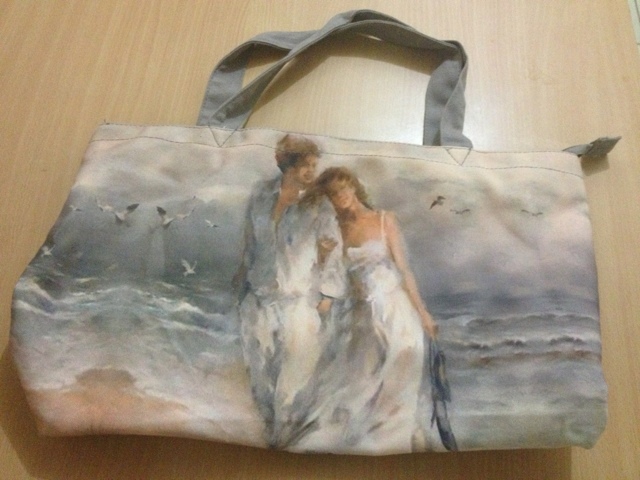 But among the different designs, I ended up buying this: a bag with a couple by the beach! Sweet isn't it? This bag costs P299.75. Are you heading somewhere this summer? You might want to grab one of these bags. I'm pretty sure this brand is available in every SM mall so do check them out at a branch near you. Enjoy shopping! Hey I love your blog. I love budget-friendly stuff and good choice with this bag! :D I might just visit the mall for this soon. It has very nice design right? :) Hope you can find one that you will like when you go to the mall. have a nice day! You're right, that bag has nice design too. And its handle is in olive green. Alam na hahaha! 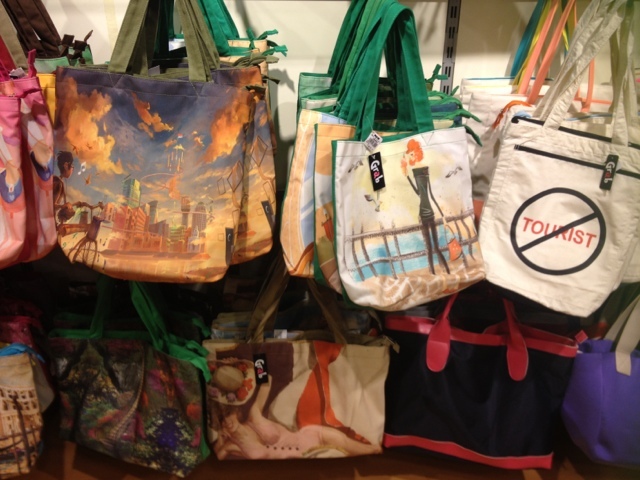 Thanks for sharing such a nice post about the custom tote bags. 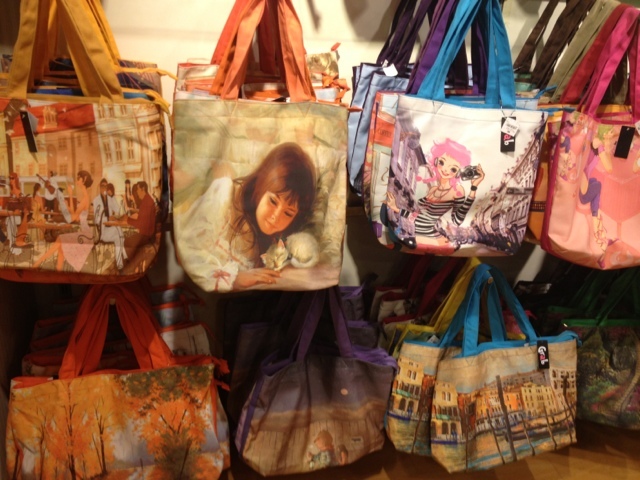 Custom Tote bags are known for being convenient and practical. People use handbags when going to work, school, trips or other for some other purposes. I like the shopping tote bags.